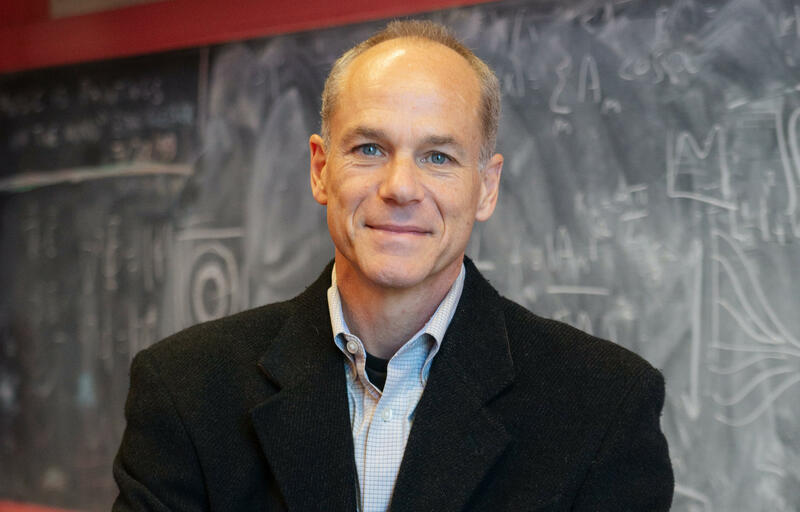 Astrophysicist and cosmologist Marcelo Gleiser is this year's Templeton Prize winner. The Templeton Prize is sometimes described as the Nobel Prize for spirituality. It was established in 1972 by the late Sir John Templeton to honor “a living person who has made an exceptional contribution to affirming life’s spiritual dimension.” Past recipients include Desmond Tutu and the Dalai Lama, but also a substantial list of physicists and cosmologists. This year’s winner falls into that latter category. Marcelo Gleiser is an astrophysicist at Dartmouth College. He contends that science and religion are not only compatible, but that science is spiritual. For him, the two realms have always been intertwined. “I’m Jewish by upbringing. And for my bar mitzvah, which is a celebration when you turn 13, I got this gift which was an autographed photograph of Einstein,” Gleiser explains. A distant relative of Gleiser's had hosted Einstein when he visited Rio in 1925, and the photograph remained in the family for decades. Gleiser’s own research sits – as he describes it – at the intersection of the very, very large and the very, very small. He’s interested in reconstructing the history of the universe, and understanding how complexity arises. Gleiser is clear that there are limits to science, and we will mostly likely never know the whole story of our universe. But he says it is the asking that is important – and deeply spiritual. Gleiser says science is one part of the tripod of human questioning, and that philosophy and religion have asked these same questions for far longer than science has existed. The answers those different disciplines yield may be starkly different, but they are parallel pursuits. And science has its own way of connecting to our spiritual side. Gleiser says that he thinks the world would be a better place if more people, including scientists viewed science in this light. If nothing else, it might foster a more constructive conversation between science and faith.